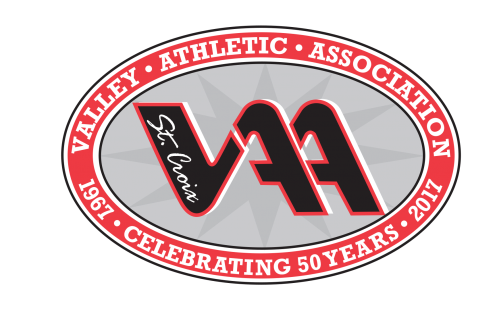 The SCVAA will partially refund a registration fee up to the date of the Coaches' Meeting, or The VAA Clinic for Football or a specified alternative date where no Coaches' Meeting is held, for the sport season in question. In order for the refund request to be accepted, it must be postmarked on or before that date. However, a service fee of 25% or $20, whichever is less, will be assessed on all refund requests to help cover capital and operational expenses (uniforms, equipment, field rental, officials, etc.) which have been incurred by the time of the Coaches' Meeting/Football Clinic. Absolutely no refunds will be authorized that are postmarked after the date of the Coaches' Meeting/Football Clinic. The SCVAA is a non-profit volunteer run organization with the mission to provide non-competitive recreational athletic experiences for children while maintaining fees that are affordable to everyone. The refund policy is also intended to dissuade player withdrawals as the resulting hardship to the volunteer program coordinators, coaches, and remaining players can be significant. As the SCVAA is a qualified 501-C3 non-profit organization, we encourage parents to discuss the tax deductibility of any forfeited registration fees with their tax advisor. Each sport's commission approves the coaches and assistant coaches. Problems relating to unacceptable behavior of participants will be processed through the sport's commission. The SCVAA reserves the right to limit the number of players per team, and assign players and coaches to each team. The SCVAA and I.S.D. #834 are not responsible for accidents or injuries. I, the parent/guardian of the registered player, a minor, agree that the player and I will abide by the rules of the St. Croix Valley Athletic Association (SCVAA), its affiliated organizations and sponsors. The SCVAA reserves the right to assign all players, approve all coaches, and limit the number of registrations/participants per team. Recognizing the possibility of physical injury associated with this sport and in consideration for the SCVAA accepting the player for its sports programs and activities, I hereby release, discharge and/or otherwise indemnify the SCVAA and its affiliated organizations and sponsors, their employees and associated personnel, including the owners of fields and facilities utilized for the programs, against any claim by or on behalf of the registrant as a result of the registrant’s participation in the program and/or being transported to or from the same, which transportation I hereby authorize. I also understand that my child/children remain my responsibility while participating in, being transported to or from and anytime they are in the company of other players, parents, coaches and officials associated with SCVAA events. I hereby understand that the SCVAA is responsible only for the formation and scheduling of the activities and that the safety and well being of my child remains my responsibility. Verbally or physically abusing players, coaches, or officials. Addressing an official in a disrespectful manner. Influencing the decision or arguing the judgment call of an official (clarification of rules is permitted). Using profanity or making insulting/vulgar gestures. Complaints regarding coaches, spectators, participants, or officials should be sent in writing to the SCVAA, Attn: Cognizant Sports Commissioner, PO Box 44, Stillwater, MN 55082. The complainant may elect to contact the commissioner at his or her telephone number listed on the SCVAA web-site www.scvaa.org. Complaints will be reviewed by the commission of the sport in question, and appropriate monitoring and/or disciplinary action taken. Individual sports commissions shall review, conduct hearings, and take any disciplinary action deemed necessary to ensure the integrity of their respective programs. Where possible, the Executive Board should be notified in writing of any disciplinary action contemplated by an individual sports commission before action is taken. In those situations where action must be taken quickly, the Executive Board shall be notified within 3 days of the action taken. In all cases and as time permits, a member of the Executive Board should participate in the disciplinary action as a third party witness. Players and coaches may be suspended for actions detrimental to participants and/or the program. In addition, players may be suspended for parental actions considered detrimental to participants and/or the program. Any participant, coach, or spectator may be ejected from a tournament or other competition by an official or from a practice by the SCVAA site supervisor or coach for any of the acts described in Paragraph A. The ejected person must leave the facility or playing field immediately. Refusal to leave shall result in forfeiture of the game or match and/or suspension of the participant from practice. The first ejection will include an automatic suspension from the team’s next practice. Depending upon the severity of the behavior, the appropriate SCVAA Commission may impose further sanctions. A second ejection will automatically result in suspension for the remainder of the season. All parties involved have the right to appeal the decision of the individual commission. Any individual ejected for the season may appeal the decision. The appeal must be in writing and submitted within 30 days of the decision via certified mail to the SCVAA President, PO Box 44, Stillwater, MN 55082. Upon receipt of the appeal, the President will schedule a timely hearing involving a simple majority of the Board of Directors. The hearing will include all parties involved at the initial hearing (participants, coaches, spectators and/or officials) as well as the league coordinator. The decision of the Board is final.